Photo by Martha Swann Photography. The Cracker Factory is a renovated industrial factory in Geneva, New York. This 65,000 square foot factory houses The Cracker Factory, 3Stories non-for-profit and Miles and May Furniture Works. The Cracker Factory building, built in the early 1900s, was first home to Geneva Forge, a cutlery manufacturer. In 2007, Miles and May Furniture Works moved all of their production into the building and started renovations on the previously unoccupied building. Since 2010, the second floor gallery space has been in use for art shows, concerts and events. Photo by Rachel Liz Photography. Photo by Laurie Crane Photography. Photo by Couple of Dudes Photography. Photo by Black and Steil Photography. 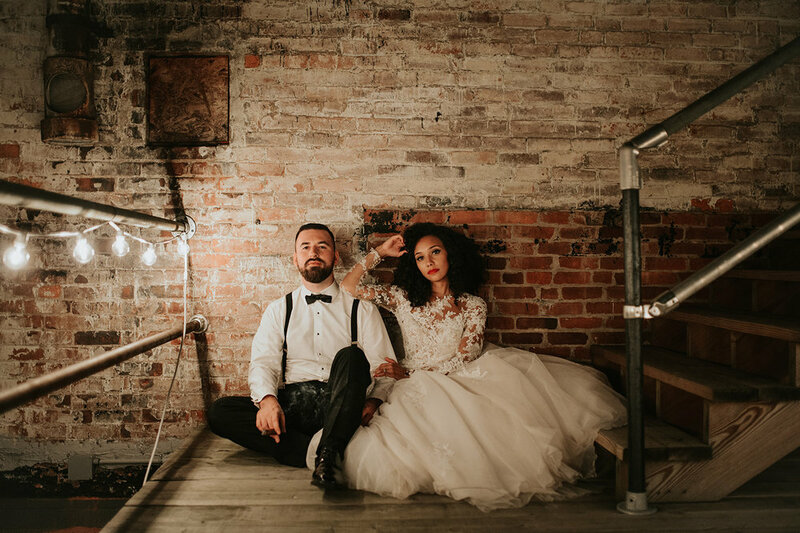 The 6,000 square foot gallery space, located on the second floor of the Cracker Factory is available for wedding ceremonies and receptions. The gallery space has been thoughtfully renovated to bring out the structure’s industrial beauty. A glossy original hardwood floor stages simple yet grand whitewashed columns and overhead wooden trusses. During the daytime, the large factory windows fill the space with lofty natural light and cast sweeping reflections across the floor. At night, an array of small lights illuminate the room with warmth. With a capacity of 376 persons, this space is perfect for events ranging from a small intimate affairs to large parties anytime of the year. The gallery is supported with a full bar and caterer’s kitchen, and is handicap accessible via elevator. Please inquire for further information and to arrange a tour of the space. 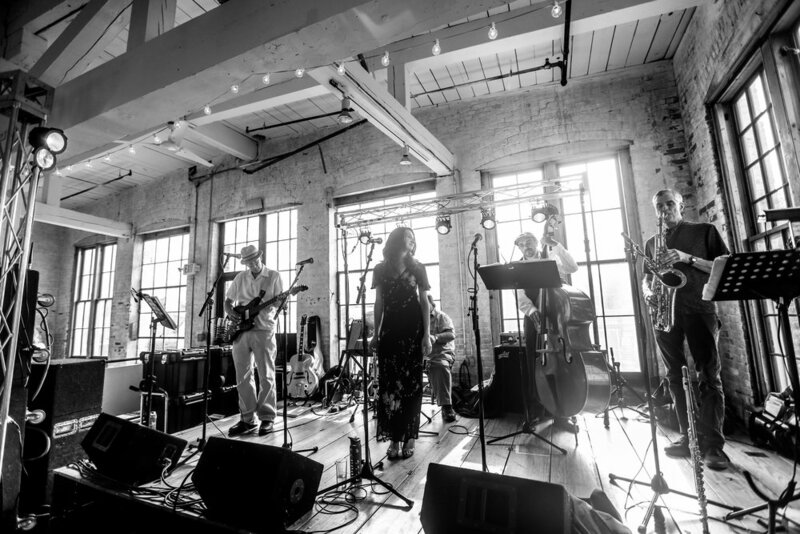 With an emphasis on community, 3 Stories 501(c)3 not-for-profit regularly curates concerts, live performances, art shows, fundraisers and literary events in the Cracker Factory gallery space. Founded in 2008, 3Stories has been growing with the community in collaboration with visiting and local artists. 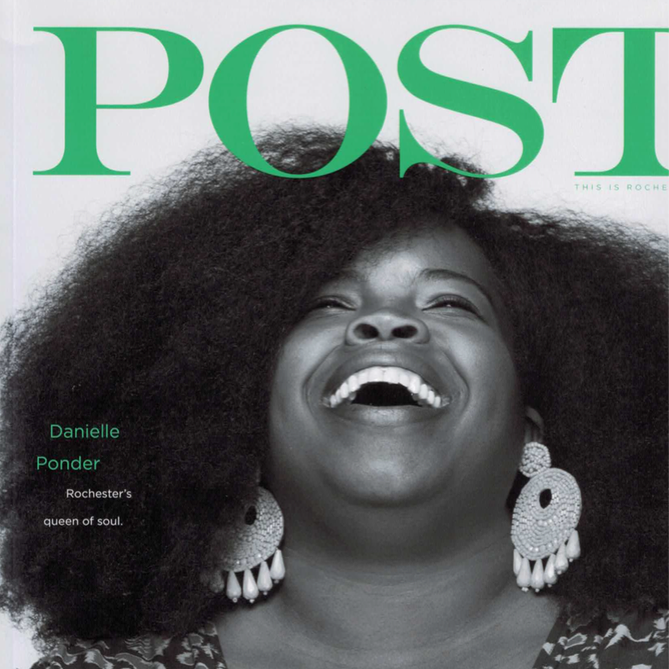 3 Stories focuses on artistic and community development through programming in the gallery and exhibition space, artist studios, and a letterpress printing shop. On the second floor, adjacent to the main gallery, is a studio art space that is home to a letterpress printing shop. In 2012, The Women’s National Historic Park in Seneca Falls donated a large portion of the letterpress studio including the Suffrage Press, a Chandler and Price letterpress, historic cabinets and lead type to the facility. We regularly offer workshops taught by artists with expertise in letterpress printing and visual arts and private classes are available by appointment. 3Stories also hosts teachers for different classes in the gallery space including yoga, children’s yoga and workshops. 3Stories presents concerts, dinners, art shows and more in the Cracker Factory gallery space. Please check out our calendar for upcoming public events. The Cracker Factory gallery space is available for private parties for any occasion, as our calendar allows. We host fundraisers, company parties, rehearsal dinners, birthday parties, etc. If you are interested in hosting a private event at the Cracker Factory, please contact us for pricing and packages. Photo by Lindsay Stephany Photography. Every Sunday evening, The Cracker Factory is open to the public for an fun evening of games, drinks and snacks from 5-10pm. 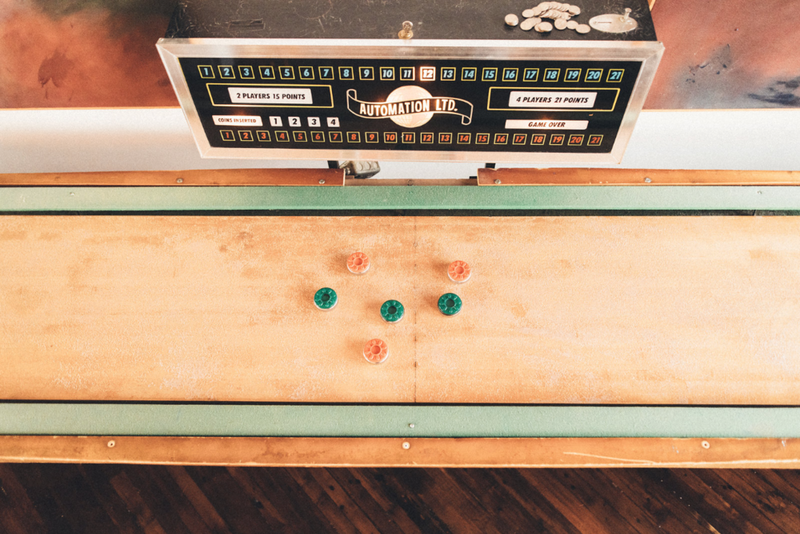 Free games include pinball, foosball, shuffleboard and pool. It’s one of those days in Geneva, New York, when you feel like sky has never been bluer. When you’re brimming with energy and ambition because the sun is filling your soul like a full glass of freshly squeezed orange juice. You just have to feel good. We can only imagine all the fun these designers must be having at home. We have such a sweet fall wedding for you, coming to us from bride Liz, owner of fine art print biz Print Club Ltd and her guy Graham, also an artist. 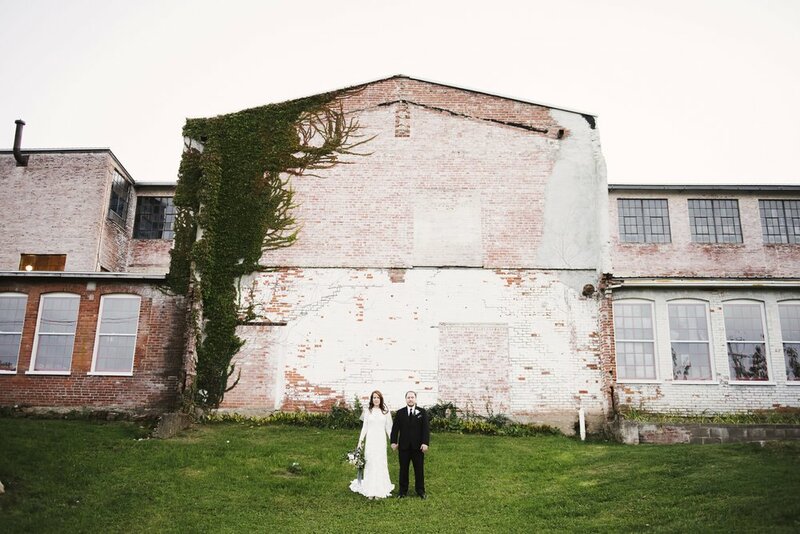 Their DIY wedding at the super unique Cracker Factory in The Finger Lakes had thoughtful touches and unconventional elements, from the screen-printed details to the groom’s kilt (a nod to his Scottish heritage). Fill out the form below if you would like information or if you want to learn more!